IF YOU DO NOT WISH TO RECEIVE THIS NEWSLETTER, PLEASE SCROLL DOWN AND HIT UNSUBSCRIBE. PLEASE, PLEASE DO NOT HIT THE SPAM BUTTON…It cancels everything out for everyone else and could ‘cause problems for you too, especially if you are AOL subscribers, SO that being said, please enjoy this…..
Just wanted to touch base before the Christmas Holiday rush. Who am I kidding…It’s already here! A reminder to try and not miss the annual Titusville Space Coast Birding & Wildlife Festival, which is a really terrific occasion full of activities, entertainment, & educational events. Note the change in time of year from November to January, which I feel is really a huge plus for all of us. Now we will not be in the middle of duck hunting season as we are trying to view and/or photograph the little critters and other wildlife, which,…. if they had any sense at all…., would have ‘run for the hills’ in shear terror!!! (I, too, always felt a bit vulnerable while out there early in the morning pointing my big lens and fearing I would be looking down the barrel of some hunters rifle.) Another plus about the Festival being moved to January is that all our northern visitors-- feathered and human,--are here escaping the northern winter weather. 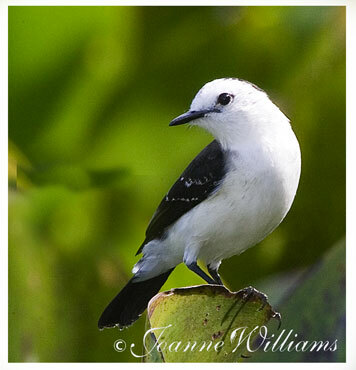 Thus, there is a bigger variety of birds to photograph and more of us to enjoy it and share in the activities of this fun event. The dates are January 24th—28th. As in years past, I’ll have a double booth full of images on display taken from various parts of the globe my tour groups & I have traveled, brochures for future tour adventures, such as, the Pantanal in Brazil, Africa, Ecuador, Alaska, Canada and various parts of Florida and the USA. 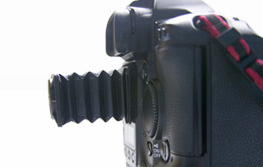 There will be images for sale, camera gear accessories for sale (Better Beamers, Shades for the LCDs, Wimberley goodies), and I have set time aside for a private consulting/ critiquing session of your own personal work (this has to be by appointment only due to my strict time-constraints). In addition, I’ll be leading three (3) in-the-field workshops. Dates are 1/25, 1/26, & 1/27 beginning early in the a.m. when the lighting is best for the Perfect Picture & the wildlife more abundant. If you care to join us, you need to register by either calling: Neta Harris at 321-268-5224, or go on-line to: www.nbbd.com/fly Space is limited. 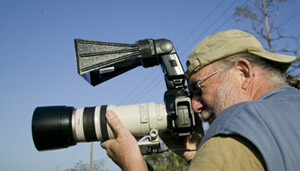 I will also be presenting a new slideshow titled The Pantanal & Much, Much More…. on January 26th AND January 27th from 4:00 to 5:00pm in the College’s Auditorium. This is about a 40+ minute program with hundreds of images I took while on my “recon” trip to the largest in-land wetland in the world, the Pantanal in Brazil, plus there will be a few hundred images from some of my other favorite photography “hot spots” which I’ve had the incredibly good fortune to find and be able to photograph. Included will be many new (and a few older) images taken right here in our own back yard. 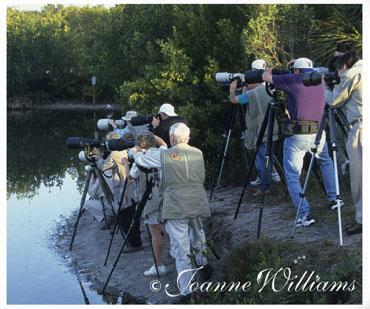 Florida and certainly our own Merritt Island area is a mecca for birders and wildlife photographers, and is one of my most favorite places to be, even though I’m called by many a ‘globe-trotter’! One of the reasons I do travel as much as I do is for those clients who demand new adventures and challenges, which I try to make possible. If all goes well, I may be making a few new announcements on other interesting upcoming events. Stay tuned, it could be interesting….. If you cannot join me on any of my in-the-field workshops or either slide presentation, please do stop by and say hello at the booth! Or do Both! My WAKODAHATCHEE WETLAND presentation & in-the-field workshop has had to be cancelled for its scheduled January & February dates due to an unexpected conflict of dates. Sorry about this, but I will be planning an event later in the Spring, which hopefully, you all will be able to attend. 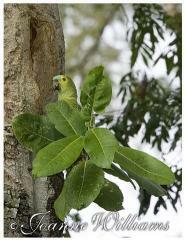 As I mentioned in my last newsletter, the Pantanal tour #1 sold out immediately. 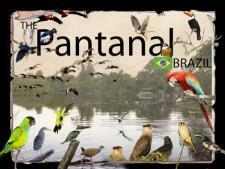 Because of the interest, I have opened up a “back to back” tour (Pantanal #2). The dates are June 17 – 30th. One participant of tour #1 is incredibly foresighted and booked tour #2. He obviously has done his homework regarding what the largest wetland in the world has to offer, and decided to stay on---thus saving money on his airfare, and a big added ‘bene’---and enhancing and expanding his opportunities for wonderful photography and wildlife and nature experiences in general. As it stands right now, I have three openings available for this #2 tour. Give a shout before the Festival & slide show…I bet it sells out by then. 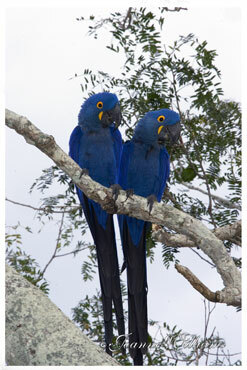 This may seem premature, but trust me it isn’t… I’m now taking names for the Pantanal June 2008 tour. In closing this, my last newsletter for 2006, I want to thank all my clients/students, publishers, editors, friends & family for your continuing faithful support for what I do ……… I wish you all a joyous, prosperous and, most of all, a healthy, and Happy New Year.